Macrame a relic from the 70s? No! 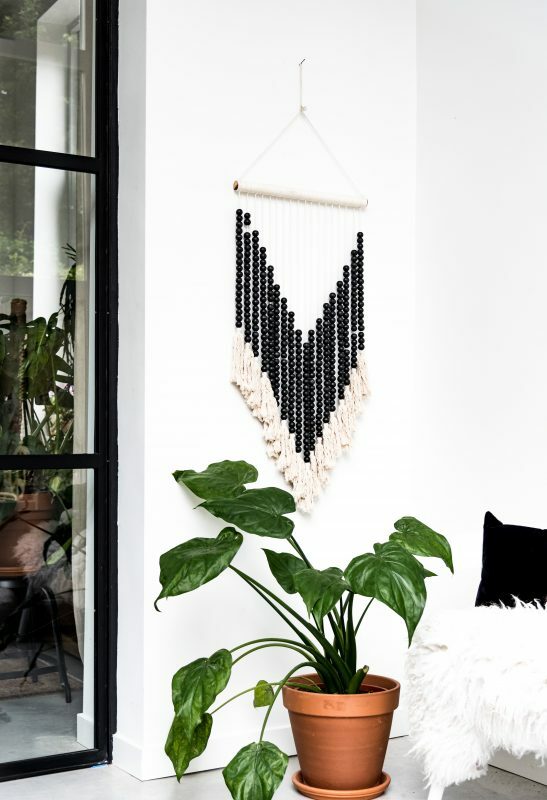 This Macrame wall hanging shows the opposite. It is totally hot. This one with beads and tassels is superb! And it is big!! To be precise: 46 cm wide and 85 cm long. 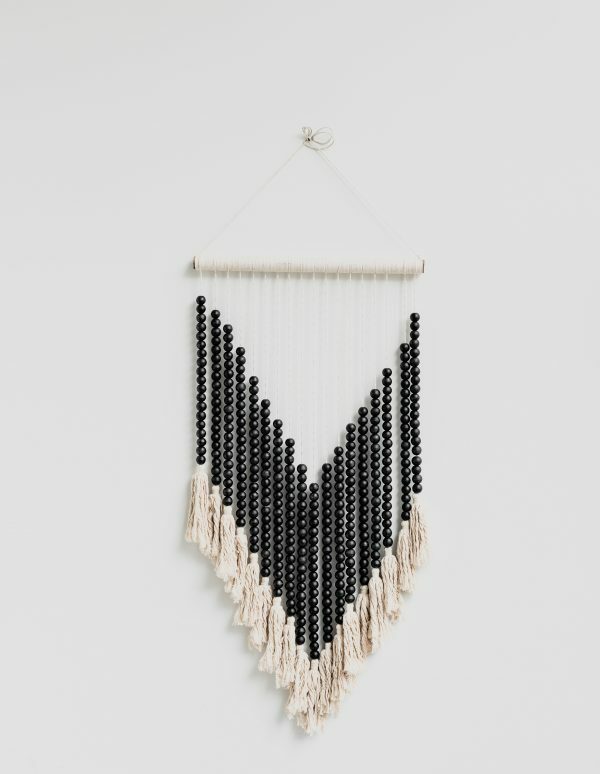 This tapsestry has a beuatiful combination of black beads and natural tassels. 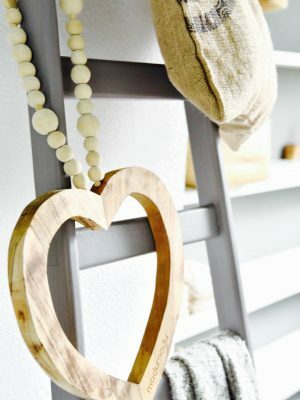 It creates a nice tone-on-tone effect on a white wall. But on a colored wall it is also cool! The Macrame beads is a tapestry of our new collection. 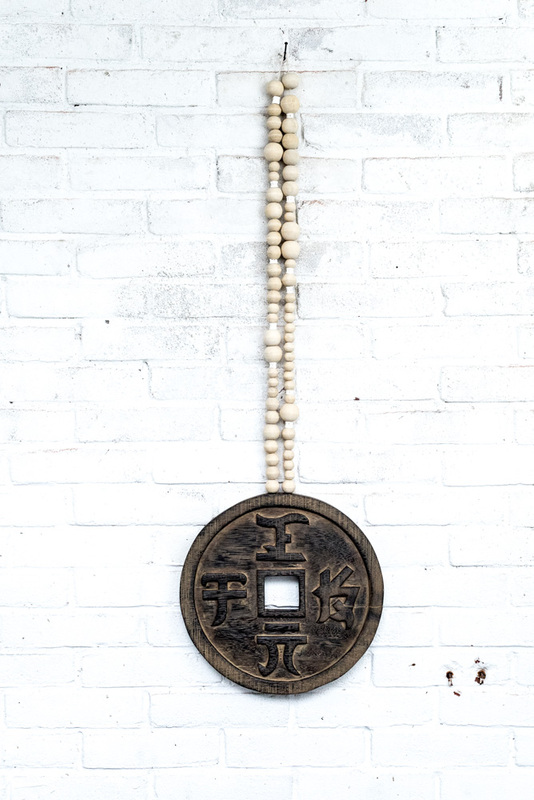 Made with love, all handcrafted by Balinese women. 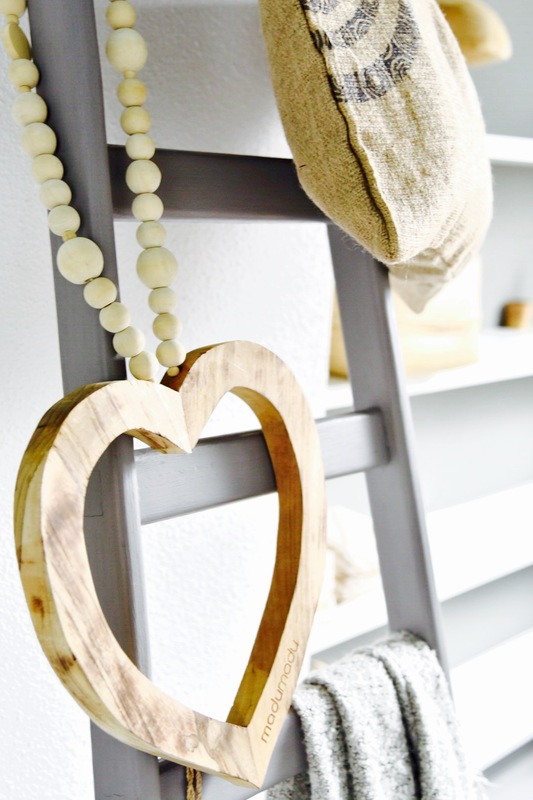 The tassels give this macramé wall hanging an extra soft touch. 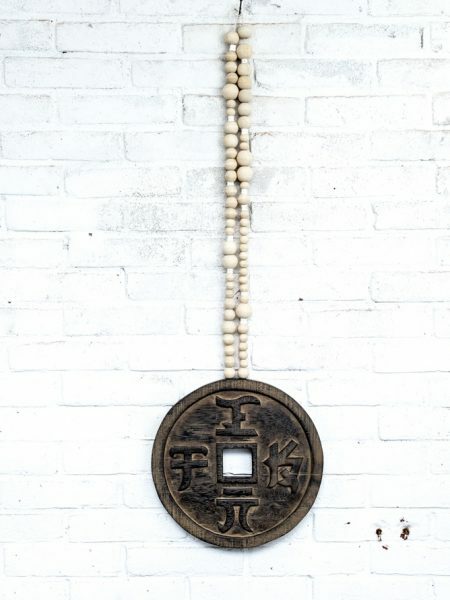 A beautiful combination; the black beads and the natural tassels.